NewVoiceMedia, a leading global provider of cloud technology which helps businesses sell more, serve better and grow faster, today announced that Crescent Wealth has transformed its customer experience with its ContactWorld for Service solution. 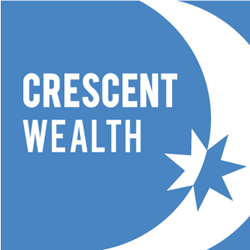 Crescent Wealth is an ethical-Islamic super and investments’ firm offering socially responsible superannuation and investment services to over 5,000 clients across Australia. As a rapidly expanding organisation with offices in Sydney, Melbourne, Brisbane and Kuala Lumpur, Crescent Wealth’s call management system demanded greater technical resources to serve its client base. NewVoiceMedia offered Crescent Wealth a solution to help it transform its customer service team into a contact centre hub, enabling the company to offer its rapidly growing client base a completely unique and personalised customer experience. As well as benefiting from immediate access to a customer’s entire history of interactions from one screen, ContactWorld for Service with Salesforce integration dynamically routes incoming calls based on Salesforce data, meaning they can be handled by the most appropriate agent, improving handling time and customer satisfaction. With its click-to-dial feature, the team is also now able to make its 9,000 outbound calls annually to clients without having to spend time searching for and manually dialling each number. Furthermore, ContactWorld’s real-time reporting, analytics and call recording functionality offer complete visibility of call volumes and length, as well as advisor performance and customer experience, enabling Crescent Wealth to improve processes such as workforce scheduling and the performance of individual agents to ensure it continues to offer the best possible experience to customers. With this in mind, the company has also implemented post-call surveys to measure its Net Promoter Score. Jonathan Gale, CEO of NewVoiceMedia, adds, “Crescent Wealth has completely transformed its customer experience since implementing ContactWorld, which is fantastic. And as the solution is completely flexible and scalable, it will support the company throughout its significant growth this year and beyond, while reducing its capital investments." NewVoiceMedia powers customer connections that transform businesses globally. The leading vendor's award-winning cloud customer contact platform revolutionises the way organisations connect with their customers worldwide, enabling them to deliver a personalised and unique customer service experience and drive a more effective sales team. With a true cloud environment and proven 99.999% platform availability, NewVoiceMedia ensures complete flexibility, scalability and reliability. Spanning 128 countries and six continents, NewVoiceMedia's 600+ customers include PhotoBox, MobileIron, Lumesse, JustGiving, Canadian Cancer Society and Wowcher. For more information visit http://www.newvoicemedia.com or follow NewVoiceMedia on Twitter @NewVoiceMedia.